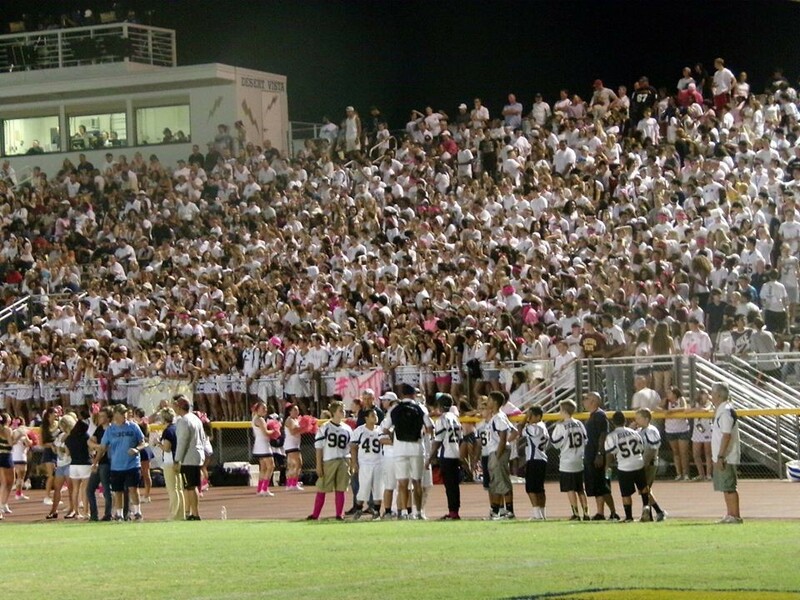 ScoreStream is fueled by the very best fans for scores, photos, videos, and now recaps! 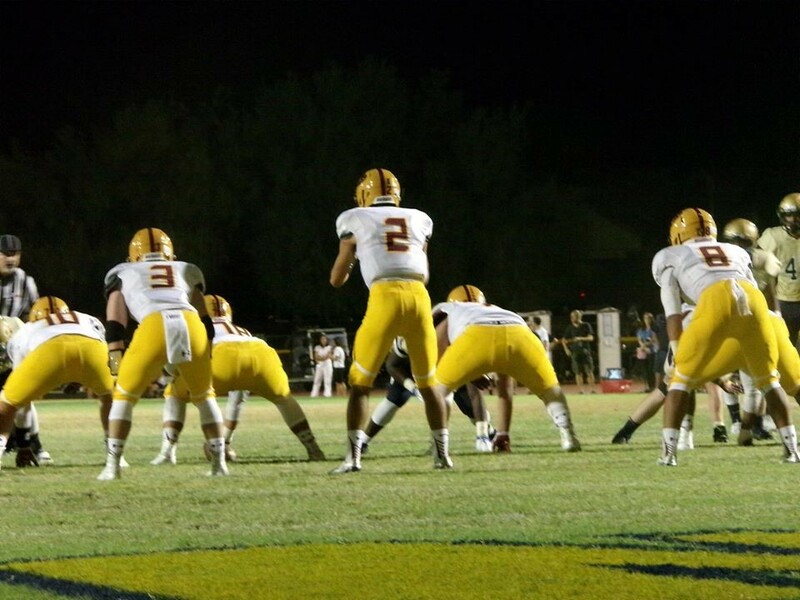 For our first ever user-submitted article, we couldn’t be happier to have Jeff Edgington cover and recap the Tukee Bowl between Mountain Pointe Pride and Desert Vista Thunder. Jeff has been a super user for the past two years and provides amazing coverage of all the top games in Arizona. You can follow Jeff on our free app and see all of his coverage on his profile here: Jeffrey Edgington. Jack Smith snuck around the edge one yard scoring with just under two minutes remaining and so went the host Thunder’s chancing of halting the skid against Mountain Pointe (6-0). Just like the last three years, bragging rights lay on Knox Road at the younger of the two schools. Pride roll 28-14 behind an impressive Defense and a 14 point 4TH-quarter surge. Smith, a Senior, moved in from the Midwest and didn’t know much about the significance of this one. “They’ve talked about it all week, but Coach Vaughn emphasized it’s just another game. We try to downplay it, but it feels good to get another win.” added Smith with a grin. The Pride struck first on an 11-yard Marcarius Blount scamper halfway through the opening frame. 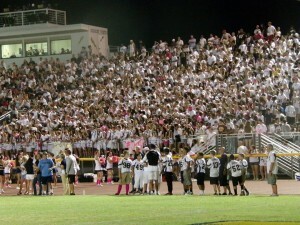 Desert Vista (5-2) responded quickly when quarterback Nick Thomas found receiver Raymond Figueroa in stride from 57 out. A punt early in the second pinned the Pride deep in Desert Vista territory. Momentum built from there as Blount and Smith would matriculate down the field on a lengthy nine-minute drive. Smith found Ralph Roman from the 6 to give the visitors a 14-7 lead right before the break. After Alex Farina drove the Thunder down to potentially tie it he was intercepted by Kenny Churchwell for the first time turnover of the game. Desert Vista tied the game late in the third quarter with another long pass, this time Smith hitting Keishaud White for a 35-yard gain that set up Lelon Dillard’s one-yard scoring run. 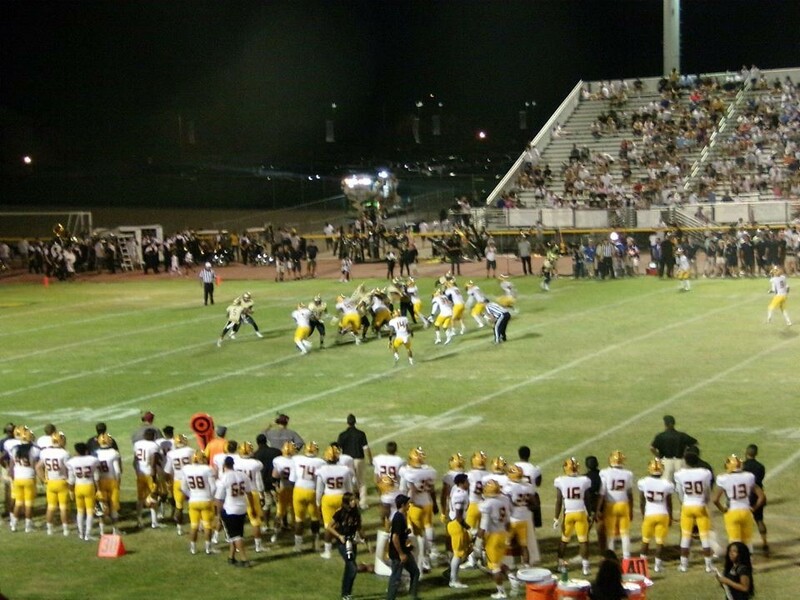 After that, Desert Vista managed just two first downs and Thomas was intercepted twice in the fourth quarter as Mountain Pointe’s defense took control. Heading to the 4th Quarter tied at 14 the student bodies increased their volume, and the crowd noise brought the entire stadium to their feet. Mountain Pointe kept grinding out first downs behind a massive front line. Blount wore out the clock. One minute into the 4TH Smith found a wide-open Deon Lee, who is usually a linebacker, for the difference and a 21-14 don’t-look-back advantage. But in the end the defense from the Pride was relentless all evening and it forced 3 Interceptions. 2 of which went to the sophomore Churchwell. In a game played by teens and fueled by emotion Mountain Pointe didn’t turn-over the ball, didn’t commit a penalty, and never trailed. Impressive.